After the Rallye race we took showers and had a snack. Snacking in Spain consists of cervesas and smokes. We had to hightail it back to Barcelona for a dinner. 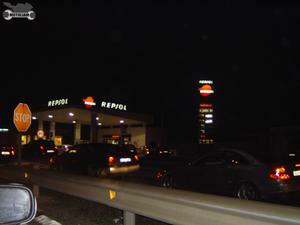 On the way back I saw this Repsol gas station. The first of many.